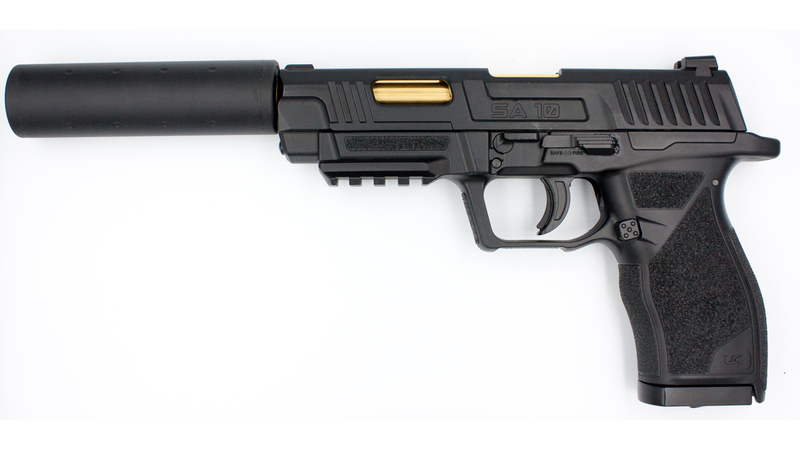 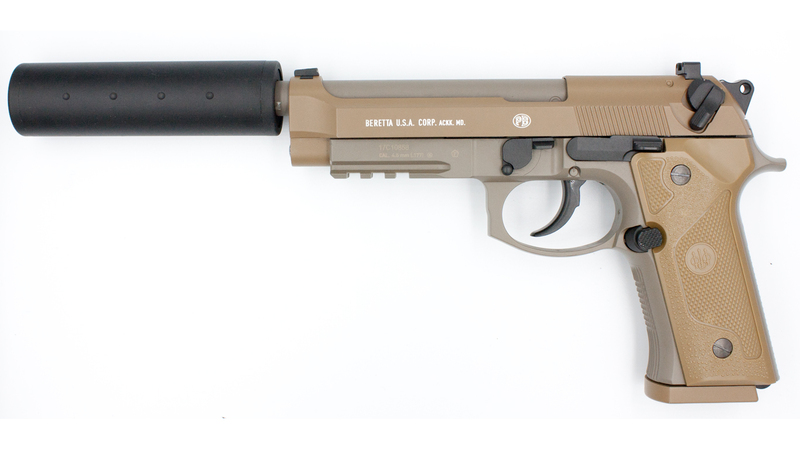 This suppressor fits the Glock 17 Threaded Barrel, Beretta M9A3 and UX SA10 modls from Umarex. 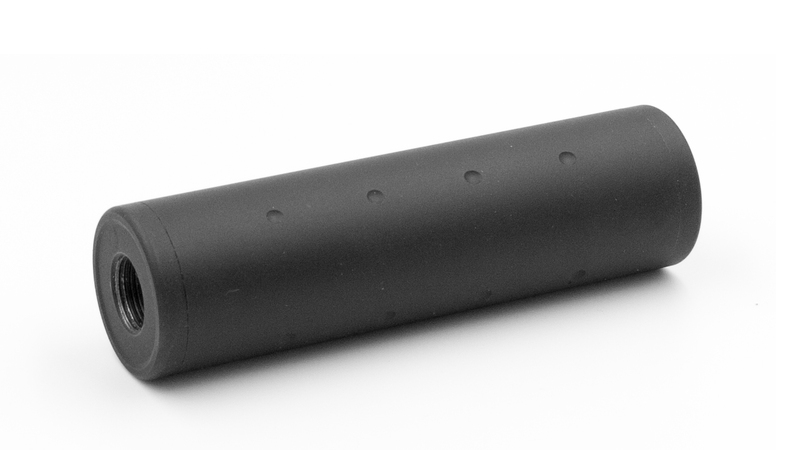 The fitting is both 14mm CCW and CW, and has a simple clean look with internal foam sponge to slightly suppress the muzzle report from your Airgun or airsoft weapon, be it Electric or Gas powered. The suppressor provides both CW and CCW threads so this is almost guaranteed to fit your weapon provided it is a 14mm thread. This is also an ideal suppressor to attach to gas blowback pistols, as a long, heavyweight suppressor will put extra stress on your nozzle during cycling. 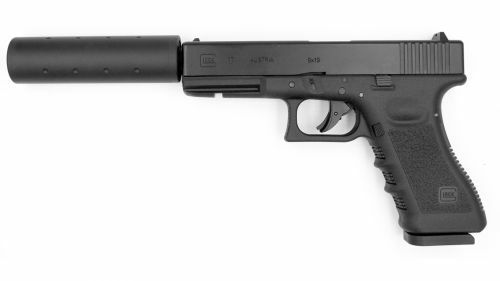 The exterior is Alloy and measures in at being 3.5cm wide, this may just make the perfect suppressor to submerge into your RIS/RAS rail but please check your dimensions first.